The last thing you want in a summer blockbuster is to be bored. Unfortunately, the fun that has previously been a driving point in the Pirates of the Caribbean franchise seems to have just about run out. I suppose giving an opinion on the franchise seems appropriate, given that this is supposedly a new start for the series. As far as I am concerned, the previous ‘Pirates’ films have not steered me wrong. They all share the same problems (overlong and overly plotted), but there is a sense of fun and imagination that I have greatly admired throughout. This latest installment of the series manages to just feel long, without the benefit of being much fun. It is unfortunate, as I admire what Johnny Depp brings to the series, along with the inclusion of some old and new characters, but ‘On Stranger Tides’ really sunk the ship. 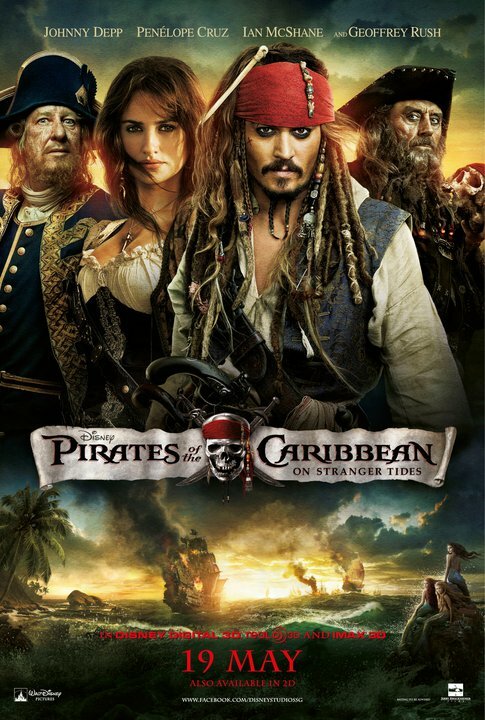 In this latest sequel, Johnny Depp returns as the lovable scoundrel that is Captain Jack Sparrow. The previous film, At World’s End, teased what Jack would be after this time around, which is the Fountain of Youth. Before setting sail for this newest mythical hotspot, Jack must first escape London, England, where he has gone to inquire about someone claiming to be building a new crew, using his name. 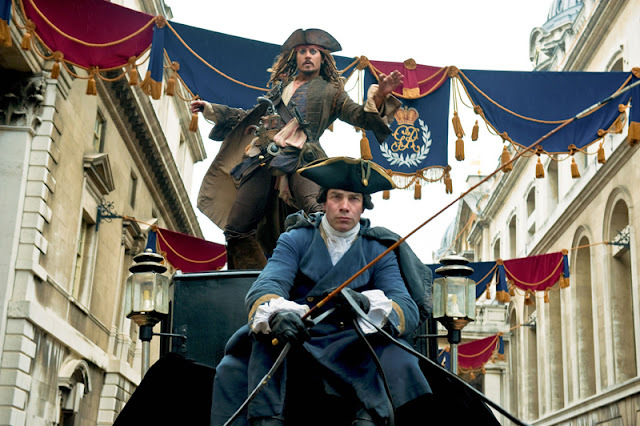 Only chaos seems to ensue, as Jack is captured and forced to lead a British expedition with the help of his former foe, Captain Barbossa (Geoffrey Rush). Wanting no part of this, Jack escapes these duties only to fall in the hands of a former love interest, Angelica (Penelope Cruz). 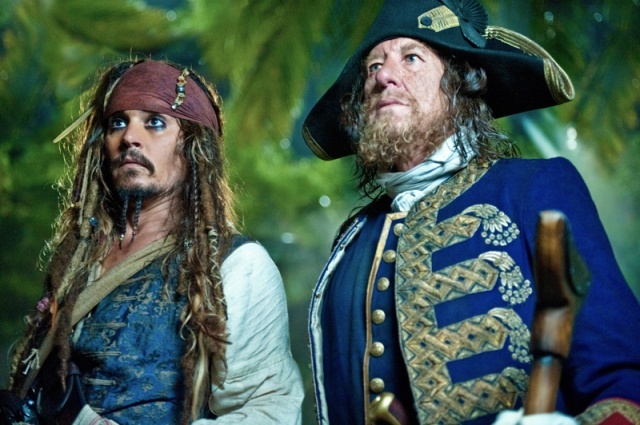 This happens to come after a reuniting of Jack and his father, Captain Teague (Keith Richards), who provides plenty of info about the Fountain of Youth. As nothing is ever easy, Jack is drugged by Angelica and placed aboard the ship known as the Queen Anne’s Revenge, which (as any pirate aficionado would know) is the ship commanded by the merciless pirate – Blackbeard (Ian McShane). As it turns out, Angelica is the estranged daughter of Blackbeard, serving as his first mate. Blackbeard is also searching for the Fountain of Youth and needs Jack to help him find it. It now becomes a large race, as Barbossa, Blackbeard, along with a fleet of Spanish ships have all set sail to find the Fountain first. Of course, Jack is only thinking about himself, but will have a lot to deal with, including deadly mermaids, which as we all know, are the key to harnessing the powers of the Fountain. Captain Teague: Don't be a fool, Jackie. The fountain will test you. Captain Teague: Does this face look like it’s seen the fountain of youth? 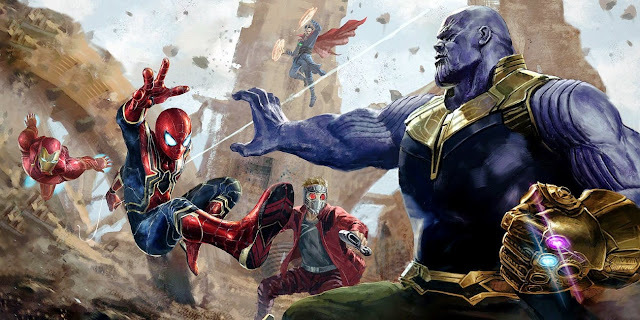 On paper, it seems like this film should be a lot of fun and a welcome addition to the franchise (from a money making standpoint, it is simply pretty damn obvious). Managing to bring Johnny Depp back and to the forefront of the feature seems like a logical choice at this point and could certainly continue to generate excitement for this series again. Sadly, the energy that I found to make the previous films work is really lacking for this feature. I am aware that, despite their popularity, many are not the biggest fans of the first two sequels to ‘Pirates’; however, I feel that most who really did not like those films will have much to reconsider after seeing this film. 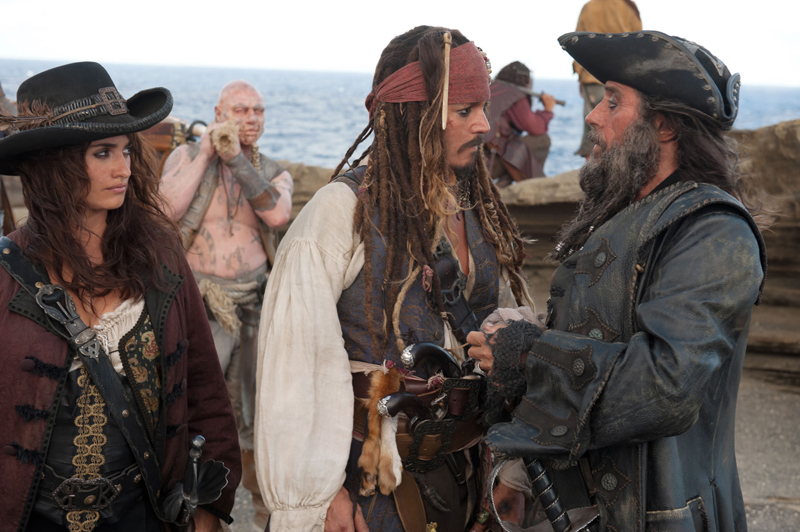 A key problem is how Jack Sparrow has now become the true main focus of the story. As much as people love this character, it has really been the Orlando Bloom and Kiera Knightly characters that centered the stories of the previous films. With them out of the way, it is now up to Jack to lead the story, and while he continues to be everything that people like about him, having so much of a good thing rarely works out for the best. Strangely enough, this would not be much of a problem if the story was played to be a simple adventure story. The problem is that the story is simple, yet the film decides to drag it out for way too long. 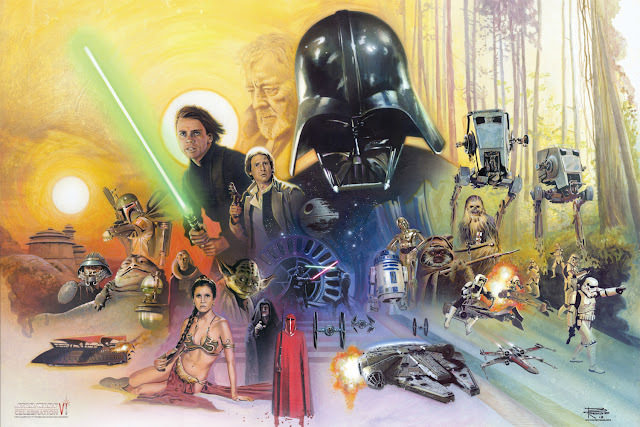 The problems with all of these film have always involved being way too long; however, the previous films at least had a (sometimes maddeningly) complex plot to have all of the pieces constantly moving. On Stranger Tides does not have much to its story, yet it decides to really push its straightforwardness into a meandering 2 hour and 17 minute runtime. This is the shortest ‘Pirates’ yet, but somehow it felt like the longest. Of course, that would not have been much of a problem if the sense of adventure and intrigue were still present in this film, but due to some changes, it did not feel that way. Taking over director duties for Gore Verbinski, who directed the previous three (along with the recent and brilliant Rango), Rob Marshall (Chicago, Memoirs of a Geisha) is now entrusted with the reins of the series. While he has managed to go big with musicals and historical efforts in the past, his abilities to bring this adventure to life are lacking. 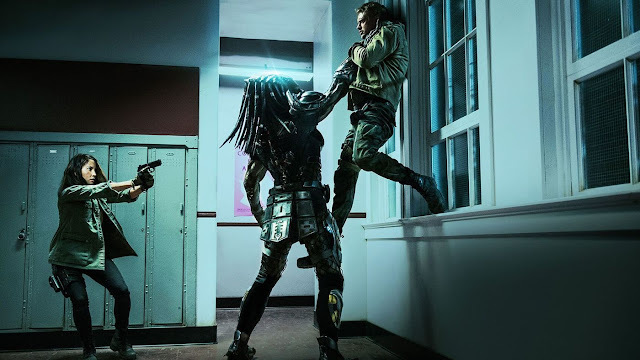 There is either little action or at least not enough to be deemed memorable this time around (aside from a killer mermaid sequence), and the action that does occur did not feel as cinematic. The cinematic nature of the film as a whole is really what I felt dodgy. I think it has been a great point of this series to really go big with its visuals. Stranger Tides felt oddly small. The large scale effort appears to have been brought down some, with not enough done to at least keep everything exciting. 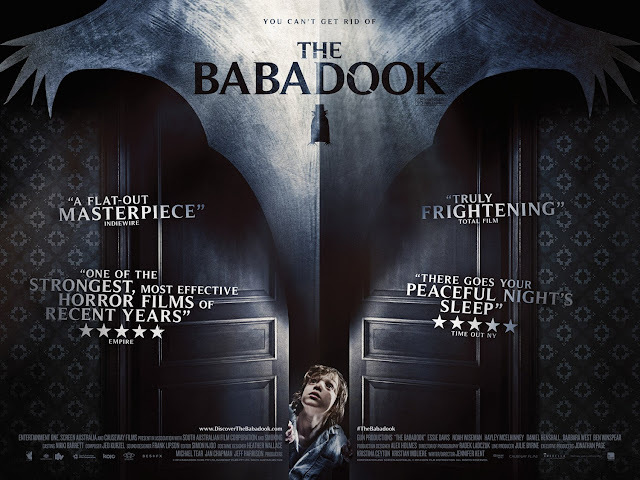 It also does not help that so much of this movie takes place at night or in the dark, which feels less ominous and more for the sake of keeping effects costs down (at this point, I should mention that the film is shot, not converted, in 3D, which is good, but the heavy amount of darkness is bad for the format). Finally (as I want to actually get to some of the good things about this film), I have always admired the character interactions and humor spread throughout this series. I found that particular screenplay trait to be not as present this time around. Jack and Angelica have a lot of fun together, but there is not as much clever wordplay that suggests how self aware these films have always seemed to be. There is also an entire subplot devoted to two characters, a man and a mermaid (attempting to fill the voids of Bloom and Knightly), which really had no spark. It was simply another way to pad things out in an already overlong film. 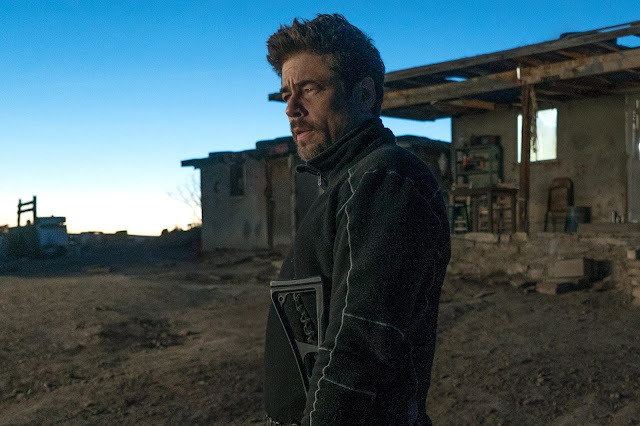 The film has retained its series screenwriters: Ted Elliot and Terry Rossio, but something really felt missing in maintaining that clever consistency. Getting to the film’s admirable qualities (which there are a number of and sorry for delaying them for so long), the film is nowhere near a complete waste. 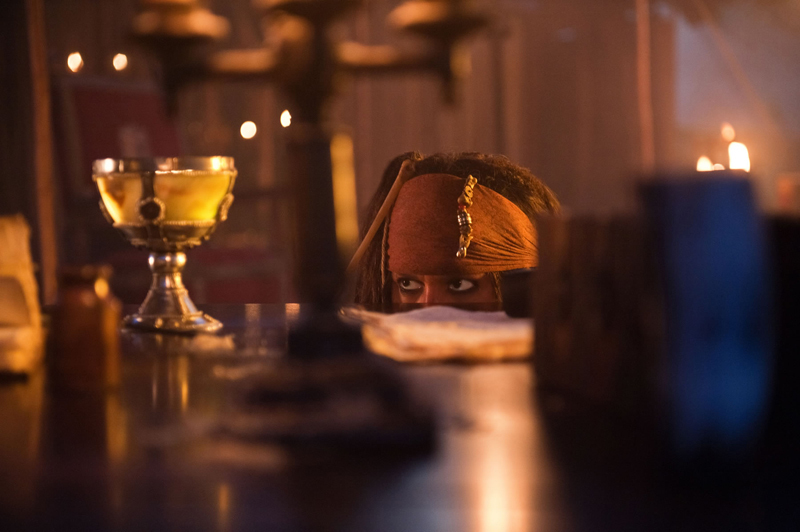 Johnny Depp has become incredibly popular with this character for a reason, as it is very nice to see Captain Jack again. Really, the entire opening sequence set in London is quite enjoyable, before everyone sets sail. The film also manages to bring back two characters I really enjoy. 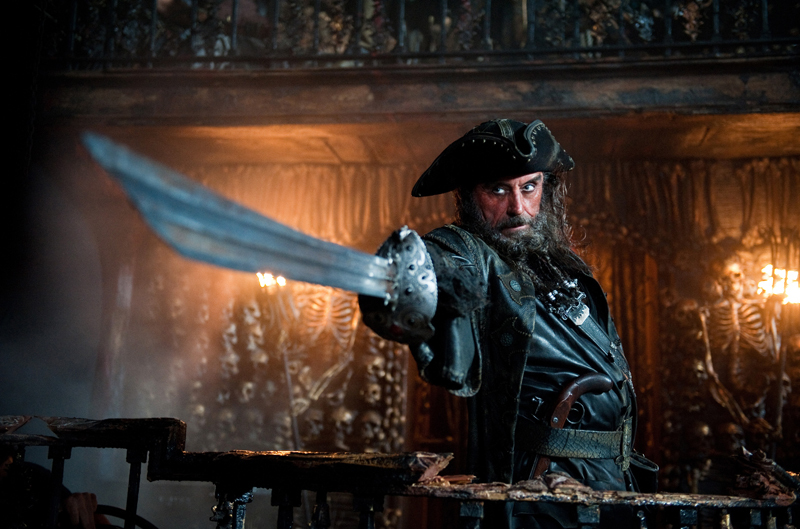 One is Barbossa, as Geoffrey Rush seems to be having a lot of fun acting as pirate-y as he can. The other is Gibbs (Kevin McNally), Jack’s loyal first mate, who I have always seen as the underrated supporting player. In addition, I really enjoyed seeing Penelope Cruz in this film, sparring with Sparrow. It is a shame that I found so much of the large middle portion of the film to be so much of a bore. Being a Jerry Bruckheimer production, this is a film that manages to put it all on screen. By that, I am referring to whatever costs it took to produce this movie. Despite my issues with its lack of more cinematic appeal, I have always enjoyed how these films do manage to make everything feel as if many were involved in sculpting out all the little details to create a consistent atmosphere. A key example of that is the centerpiece of this film, which is the killer mermaid attack sequence (a phrase more fun than the film). Accompanied by the pounding Hans Zimmer score, neat designs, stunts, and effects are all put together to create the film’s one memorable sequence. I only wish that the film had as much excitement as it did when this scene was put together, as it combines many aspects that I do enjoy in these ‘Pirate’ films. I have pointed out to many that the second film, Dead Man’s Chest, is my favorite of the series. Many would probably just wish the first film was the last, yet I will always admire how the second film did not take the easy route and instead made the effort to go way “out there” and add a lot of big ideas and great effects (Davy Jones is an amazing CG creation). The film has many messy qualities, but I admire its ambition and best of all, it still is fun. On Stranger Tides did not feel this way. Of course things in this business come down to money, which is what the film will be accused of being inspired by, but there was still a chance to create something that was a lot more fun. This wasn’t achieved, which is disappointing, as I really enjoy these movies in general, but the rum seems to have run dry. And really bad eggs, yo ho. Jack Sparrow: I thought I should give you warning. We're taking the ship. It's nothing personal.